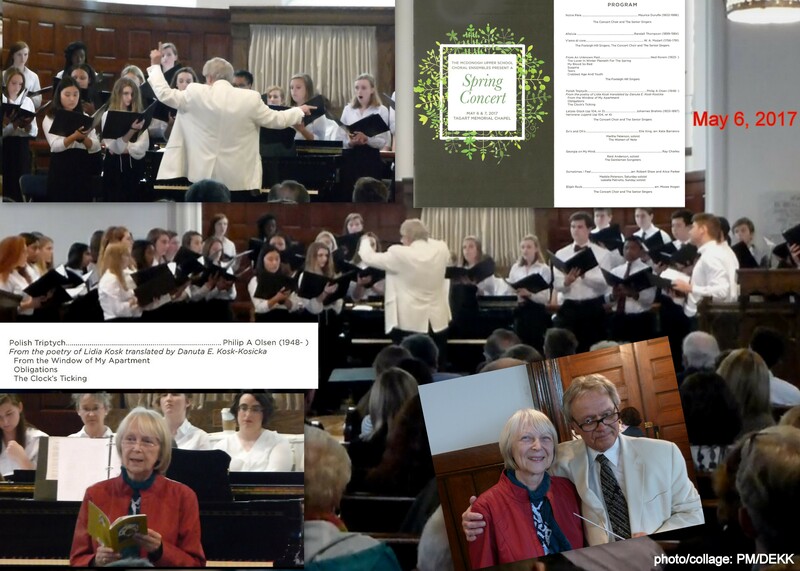 The McDonogh Upper School Choral Ensembles, under the direction of Philip Olsen, Head of Choral Music, presented a delightful annual spring concert in the Tagart Memorial Chapel on May 7. The audience was treated to outstanding performances and each senior choir member received a rose. A program highlight was a Polish Triptych composed by Philip Olsen from the poetry of Lidia Kosk, translated by her daughter, Danuta E. Kosk-Kosicka.